Address 6925 Hollywood Boulevard, Los Angeles, CA 90028. During a 2 hour cruise you'll visit some of L.A.’s most glamorous corners in our famous open-air 13-passenger vans. You’ll visit Beverly Hills, enjoy a stunning view from Mulholland Drive, and get an up-close look at the city’s most iconic attractions, including the legendary Hollywood sign, and much more. Along the way, you’ll visit the current and former homes of celebrities past and present, with dozens of featured properties adding to the excitement. 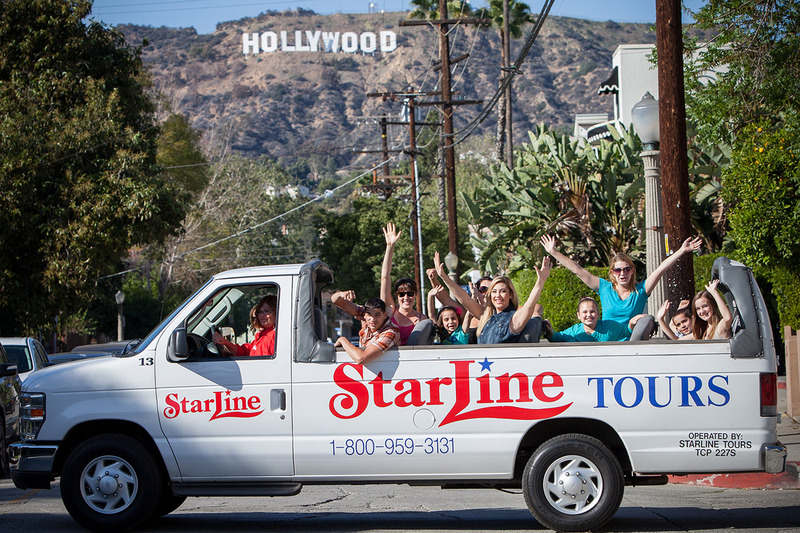 Starline Tours, we’ve been giving celebrity tours of Los Angeles for over 80 years. We’ve seen Hollywood history unfold as it happened, and our guides have deep knowledge and fascinating insights that will enrich your experience. As the original provider of L.A. celebrity tours, they've also developed a unique relationship with city officials that allow us them to go where other tour companies are not allowed. 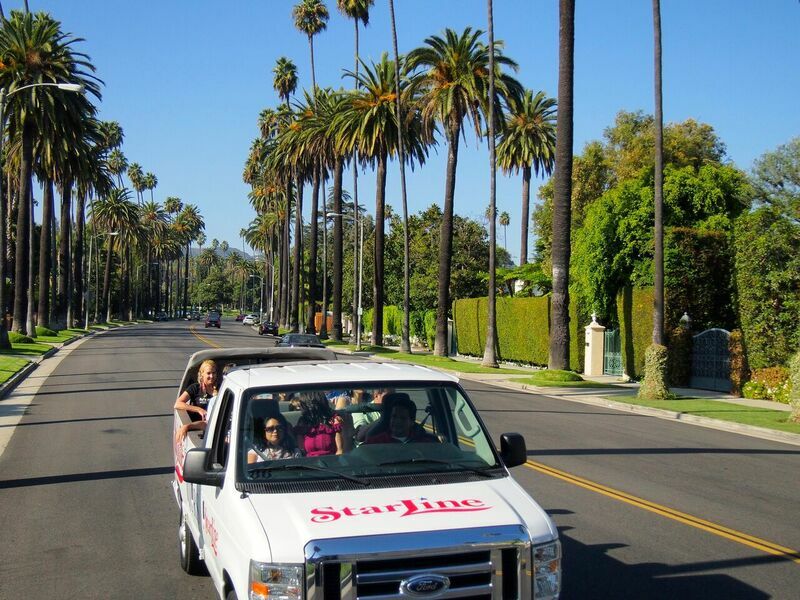 No other celebrity tour company in Los Angeles can deliver the Starline experience. Here’s just a sampling of the celebrities whose current or former homes you will visit: Elvis Presley, Jennifer Aniston, Tom Cruise, Al Pacino, Jennifer Lopez, Christina Aguilera, Bruno Mars, Katy Perry, and Quentin Tarantino. It’s recommended to call Starline Tours and book a reservation a couple hours before the tour time you would like to do or walk-ins; which is fine. Hollywood is a very popular location, so make sure you give yourself enough time to park and/or arrive to the tour. You may be curious to walk around; therefore you should give yourself 40 minutes before checking in. You may take snacks with you and water. Don’t forget to wear sunscreen, and/or a sweater for the weather. A camera is needed if you want to capture all the beautiful sights during this tour.